ALEX AND ANI will donate 20% of the purchase price from each Sand Castle Charm sold to SOS Children's Villages whose mission is to build families for children in need, helping to shape their futures and share in the development of their communities. If you have any questions about this product by Alex and Ani, contact us by completing and submitting the form below. If you are looking for a specif part number, please include it with your message. 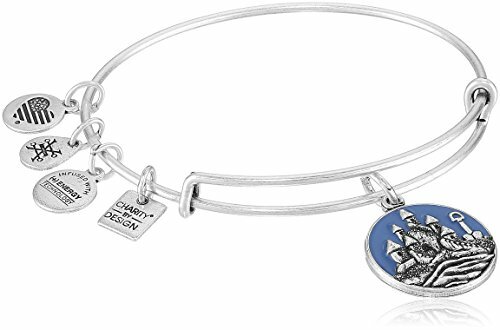 Alex and Ani Charity by Design Rafaelian Silver-Tone Expandable Wire Bangle Bracelet with Butterfly Charm, 7.75"